Leverage Carbon Fiber Bottle Opener by Kumquat. 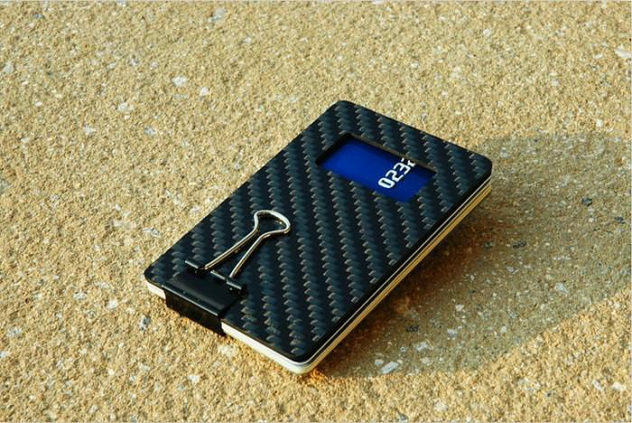 Leverage is a credit card sized carbon fiber bottle opener designed by Kumquat. Thin, light and extra strong it is elegant and as portable as it gets. Corker by Sebastian Bergne, is an innovative corkscrew with sharp minimalist design and it evolves as you consume your favorite wines. Le Creuset Screwpull LM-350 Lever Corkscrew. 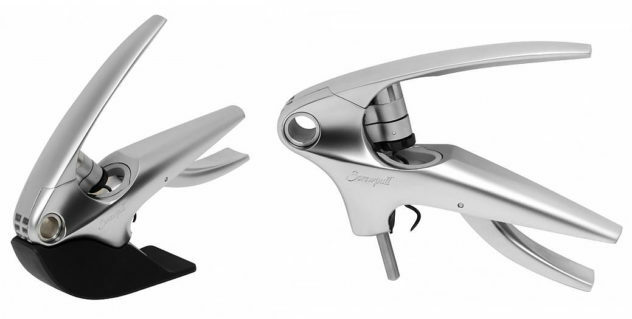 The Le Creuset Screwpull LM-350 Lever Corkscrew is a sophisticated corkscrew, it opens a wine bottle in seconds with two simple moves and impeccable style. 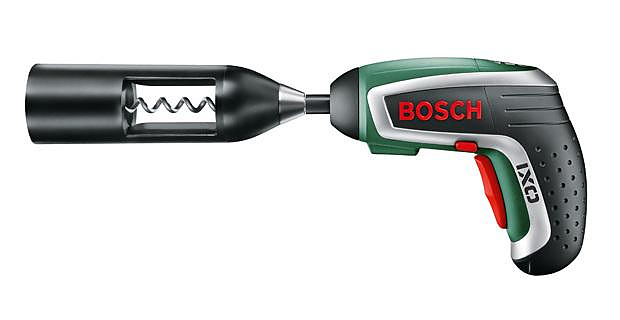 Bosch IXO Vino, a Cordless Screwdriver becomes an Electric Corkscrew. The Bosch Ixo Vino offers two different functions into one unexpected gadget, it is a Cordless Screwdriver which doubles as an Electric Corkscrew.